Click on the title of the music to see the first page of the score and to get an impression of what it sounds like. To buy an item, use the icon to add it to your shopping basket. Adams, Thomas. Pupil of Sir Frederick Bridge. 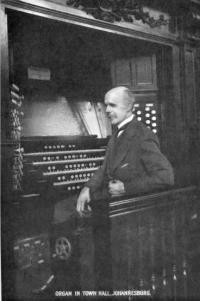 Organist of Halstead Parish Church; St. Alban-the-Martyr, Holborn, London, 1888-1918. Taught at Bishop Stortford Grammar School. Composed choral and organ music. b. Harlow, England, Nov. 21st, 1857; d. Islington, London, Nov. 4th, 1918. Best, William Thomas. Studied at Carlisle Cathedral under John Norman and Abraham Young. Organist of the Pembroke Road Chapel, Liverpool, 1840-55; the Church for the Blind, Liverpool, 1847; the Royal Panopticon, Leicester Square, London, 1853-54; Lincoln’s Inn Chapel, 1854; St. Martin’s-in-the-Fields, Trafalgar Square, London, 1855; St. George’s Hall, Liverpool, 1855-94; Wallasey Parish Church, Birkenhead, 1860-63; Holy Trinity, Liverpool, 1863; West Derby Parish Church, 1879. Engaged in 1871 to give recitals at the Royal Albert Hall (stayed for only a short time). Solo Organist at the Handel festival at the Crystal Palace. Opened the organ in Sydney Town Hall, 1890. 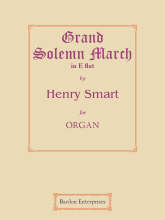 Was one of the greatest English Organists of his time. Received a Civil List pension of £100 per annum. 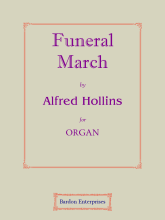 Composed church services, anthems, organ pieces, &c. b. Carlisle, England, Aug. 13th, 1826; d. Liverpool, May 10th, 1897 (buried in Childwell Churchyard). 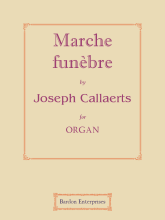 Callaerts, Joseph Jacques. Chorister at Antwerp Cathedral; studied at the Brussels Conservatory under Nicolaus Jacques Lemmens, receiving first prize, 1856. Organist of the Jesuit College, 1851-56; Antwerp Cathedral, 1855-. Professor at the Royal Conservatory, Brussels. Composed a symphony, a comic opera, organ music, cantatas, church music, &c. b. Antwerp, Belgium, Aug. 22nd, 1830; d. there, Mar. 3rd, 1901. 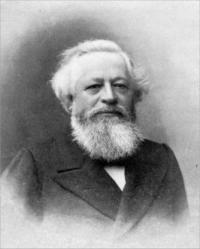 Chauvet, Charles Alexis. 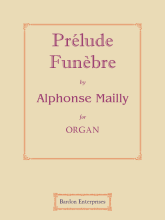 Studied at the Paris Conservatory, 1850-60, under François Benoist (organ) and Ambrose Thomas (composition). Organist of St. Thomas-d’Aquin’s, Paris; St. Bernard’s-de-la-Chapelle, Paris, 1863; St. Merry’s, 1866; St. Trìnité’s, Paris, 1869-1871. Renowned for his organ improvisations. Composed organ and piano pieces. b. Marnes, near Paris, France, June 7th, 1837; d. Argentan, Jan. 28th, 1871. 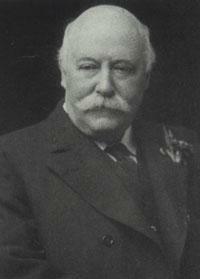 Duncan, William Edmondstoune. A.R.C.O. (1882). Studied at the Royal College of Music, London, under Sir Hubert H. Parry, Sir Charles V. Stanford, Sir George Martin and E. Pauer; pupil of Sir G. A. Macfarren. Music critic in London; professor at the Oldham College of Music. Composed choral and orchestral music, a mass, an opera, songs, part-songs, &c. Wrote about music. b. Sale, Cheshire, England, Apr. 22nd, 1866; d. there, June 26th, 1920. Edwards, Dr Albert Henry. Mus.D. (Dublin), Mus.B., (Oxon), F.R.C.O. Studied at Rochester Cathedral; Trinity College London; pupil of John Hopkins. 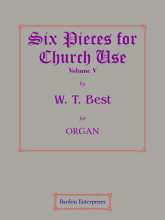 Organist of St. George’s, Barrow-in-Furness, 1891; St. Mary’s, Brecon, Wales, 1894; Christ Church, Doncaster, England, 1896; St. Mary Magdalene’s, Bradford, 1899; St. Mary’s, West Kensington, London, 1911; Holy Trinity, Richmond-upon-Thames, 1915-. b. Chelmsford, England, 1869; d. Baron’s Court, London, Nov. 13th, 1944. Foster, Myles Birket. F.R.C.O. (1875), A.P.S. (1880), A.R.A.M., F.R.A.M. (1895). Pupil of Hamilton Clarke; studied at the Royal Academy of Music, London, under Sir Arthur Sullivan, Dr Ebenezer Prout and Westlake. Organist of the St. James’, Marylebone, London, 1873-74; St. George’s, Campden Hill, Kensington, London, 1875-79; the Foundling Hospital, London, 1880-92; St. Alban-the-Martyr’s, Holborn, London. Composed a symphony, anthems, services, cantatas, songs, &c. b. St. John’s Wood, London, England, Nov. 29th, 1851; d. Bedford Park, Acton, London, Dec. 18th, 1922. Gaul, Harvey Bartlett. 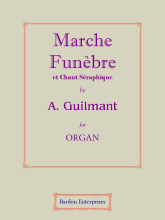 Pupil of George F. Lejeune (organ); studied in New York with Dudley Buck; London with Dr Philip Armes and A. R. Gaul; at the Paris Conservatory under Alexandre Guilmant; the Schola Cantorum, Paris, under Charles Marie Widor and Vincent d’Indy. 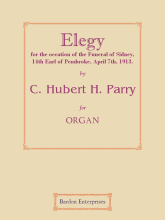 Assistant organist of St. John’s Chapel, New York City, 1898; organist of St. Luke’s Chapel, Paris, France; the Emmanuel Church, Cleveland, Ohio, U.S.A., 1900-08; the Calvary Episcopal Church, Pittsburgh, Pennsylvania, 1910-45. Taught at the Carnegie Institute, Pittsburgh, Pennsylvania. 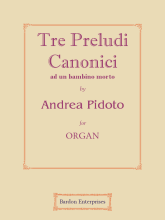 Composed organ pieces, cantatas, songs, part-songs, anthems, &c. Wrote criticism for Pittsburgh newspapers. b. Astoria, New York, U.S.A., Apr. 11th, 1881; d. Pittsburgh, Pennsylvania, Dec. 1st, 1945. Grey, Charles John. Taught at the London College of Music. b. Diss, Norfolk, England, 1849; d. Bexley, Kent, 1923. Guilmant, Félix Alexandre. Legion of Honour, 1896. Pupil of his father; and Nicolaus Jacques Lemmens. Assistant organist at St. Nicholas’, Boulogne, 1849; organist of St. Joseph’s, Boulogne-sur-Mer, 1853; St. Nicholas’, Boulogne-sur-Mer, 1857; St. Sulpice’s, Paris, 1863; Notre-Dame, Paris, 1868; La Trinité, Paris, 1871-1901. Toured the U.S.A., 1893 and 1897; Europe, 1897-98, 1904-05. Professor of organ at the Paris Conservatory, 1896. Son of Jean Baptiste Guilmant. b. Boulogne-sur-Mer, France, Mar. 12th, 1837; d. Meudon, Mar. 30th, 1911. Hollins, Alfred. Hon.Mus.D. (Edinburgh, 1922); Hon.F.R.C.O. Blind organist. 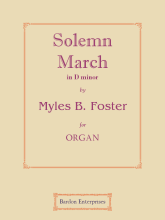 Studied at the Wilberforce Institution, York, under William Barnby, 1874-77; the Royal Normal College for the Blind, Upper Norwood, London, under F. J. Campbell, Fritz Hartvigson (piano), and Dr E. J. Hopkins (organ), 1878; in Berlin under Hans von Bülow who described him as one “of those rare and true musicians among pianoforte virtuosi”, 1885. Organist of St. John’s, Redhill, London, 1884-88; the People’s Palace, London, 1888-; St. Andrew’s (Presbyterian), Upper Norwood, London, 1888-97; St. George’s (United Free), Edinburgh, Scotland, 1897-1942. Professor of piano and organ at the Royal Normal College for the Blind, Upper Norwood, London, 1888. 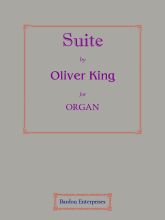 Was responsible for the specifications of the organ in Johannesburg Town Hall, built by Norman & Beard (giving opening recital, 1916), and Caird Hall, Dundee, built by Harrison & Harrison; also organs in Belfast and Edinburgh. Played the Beethoven Pianoforte Concerto in E-flat under Manns at the Crystal Palace; before Queen Victoria at Windsor, 1882; toured the United States, 1885, 1888; played a series of recitals at Sydney Town Hall in 1904; toured New Zealand, 1904; South Africa, 1907, 1909; U.S.A., 1926. Composed organ music, songs, anthems, piano music, &c. b. Hull, England, Sep. 11th, 1865; d. Edinburgh, Scotland, May 17th, 1942. King, Oliver Arthur. Chorister at St. Andrew’s, Wells Street, London; studied at the Leipzig Conservatory, under Ernst Friedrich E. Richter, Dr Karl Reinecke and Paul, 1874-77; pupil of Sir J. Barnby and W. H. Holmes (piano). Assistant organist of St. Anne’s, Soho, London. Precentor of St. Marylebone Paris Church, London, 1883-86; professor of piano at the Royal Academy of Music, London, 1893-; concert pianist. 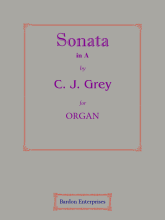 Composed cantatas, anthems, services, part-songs; orchestral, church and piano music; &c. b. Islington, London, England, 1855; d. Hammersmith, London, Aug. 23rd, 1923. Lemare, Edwin Henry. A.R.A.M., F.R.A.M., F.R.C.O. (1886). Pupil of his father; won a Goss Scholarship from the Royal Academy of Music, London, 1876; studied there under Sir G. A. Macfarren, Walter Macfarren, Dr Charles Steggall and Dr Edmund H. Turpin. Organist of St. Mary’s, Brookfield, Highgate, London; St. John-the-Evangelist’s, Brownswood Park, London, 1882; St. Andrew’s, Cardiff, Wales; the Park Hall, Cardiff; Sheffield Parish Church, England, 1886; the Albert Hall, Sheffield, 1886; Holy Trinity, Sloane Square, London, 1892-95; St. Margaret’s, Westminster, London, 1897-1902; the Carnegie Institute, Pittsburgh, U.S.A., 1902-05; at the Pan-America Exposition, San Francisco, 1915; San Francisco City Organist, 1917-20; Portland, Maine, 1920-24; civic organist of Chattanooga, Tennessee, 1924-29. Toured the U.S.A., 1900-01; Australia; New Zealand; Europe. Designed the organ for Auckland Town Hall, New Zealand; Melbourne Town Hall, Australia. The finest and most highly paid organ recitalist of his day; popularized Wagnerian operas in England, though his transcriptions of them. 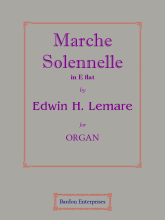 Composed organ pieces, church music, an orchestral symphony, &c. Son of Edwin Lemare; nephew of Dr William Lemare. b. Ventnor, Isle-of-Wight, England, Sep. 9th, 1865; d. Los Angeles, California, U.S.A., Sep. 24th, 1934. 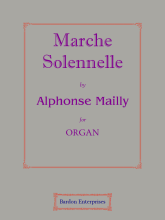 Mailly, Alphonse Jean Ernest. Studied at the Brussels Conservatory under C. Girschner (organ) and Nicolaus Jacques Lemmens. Organist at Cannes. Professor of piano at the Brussels Conservatory, 1861; professor of organ there, 1868. 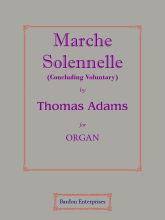 Composed organ and piano pieces, &c. b. Brussels, Belgium, Nov. 27th, 1833; d. there, Jan. 15th, 1918. 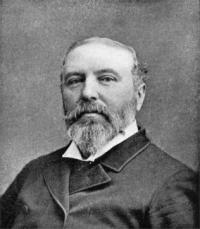 Parry, Sir Charles Hubert Hastings. Mus.B. (Oxon, 1867), B.A. (Oxon, 1870), M.A. 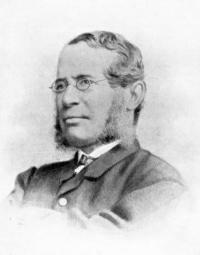 (Oxon, 1874), Hon.Mus.D. (Cantab, 1883), Hon.Mus.D. (Oxon, 1884), Hon.Mus.D. (Dublin, 1891); knighted, 1898; baronet, 1903. Studied at Eton College, 1861; Exeter College, Oxford; pupil of Sterndale Bennett, Sir G. A. Macfarren and Dr G. Elvey(composition); in Stuttgart with Edward Dannreuther (piano) and H. H. Pierson. Choragus to Oxford University, 1883; director of the Royal College of Music, London, 1894-1918; professor of music at Oxford University, 1901-08. Composed symphonies, overtures, chamber music, piano pieces, anthems, songs, oratorios, &c. b. Bournemouth, England, Feb. 27th, 1848; d. Knight’s Croft, Rustington, Oct. 7th, 1918. Pidoto, Andrea. Studied in Pescara with Franco Donatoni and Sylvano Bussotti. b. La Spezia, Italy, Apr. 13th, 1958. Smart, Henry Thomas. 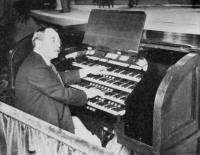 Studied for Law but threw over legal studies to become an organist; pupil of W. H. Kearns. Organist of Blackburn Parish Church, 1831-38; St. Philip’s, Regent Street, London, 1836-44; St. Luke’s, Old Street, London, 1844-64; St. Pancras’, Euston Road, London, 1865-79. Became blind in 1864. Composed an opera, cantatas, services, anthems, part-songs, songs, organ pieces, &c. Designed the organs at Leeds Town Hall and St. Andrew’s Hall, Glasgow. Nephew of Sir George T. Smart. b. Marylebone, London, England, Oct. 26th, 1813; d. Hampstead, London, July 6th, 1879.